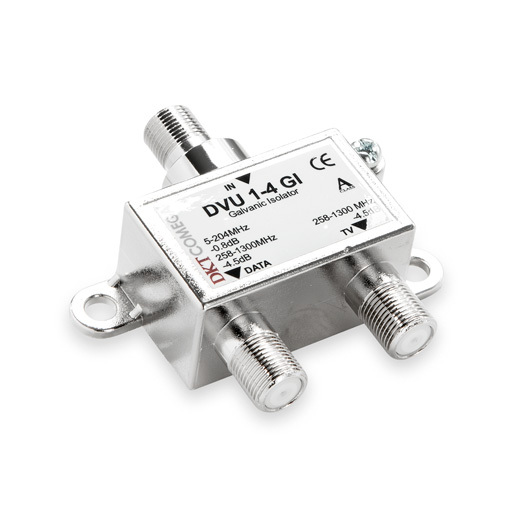 DVU 1-4 1G3 (item no. 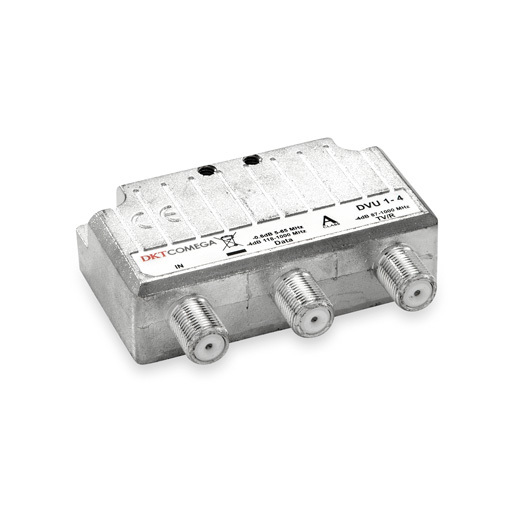 41139) is used as a home network interface for DOCSIS 3.1 that splits the signal data path (5-204 MHz / 258-1300 MHz) and TV signal path (258-1300 MHz). The data path is connected to the subscriber’s modem. It has minimum attenuation in the return path for network optimization. 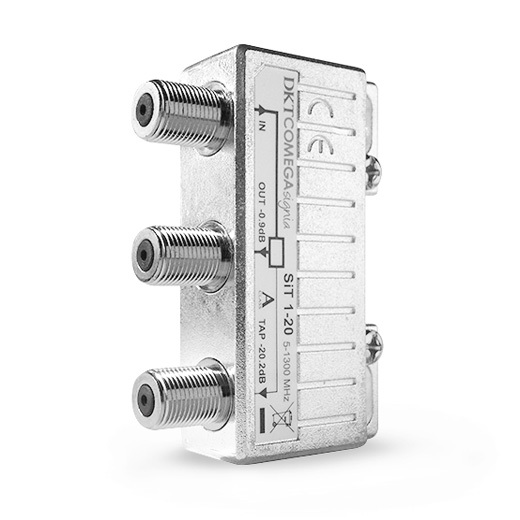 The TV path only carries downstream signals, and effectively blocks any disturbances in the home network from entering into the distribution network. For DOCSIS 3.0 network DVU 1-4 (item no. 41138) can be used. 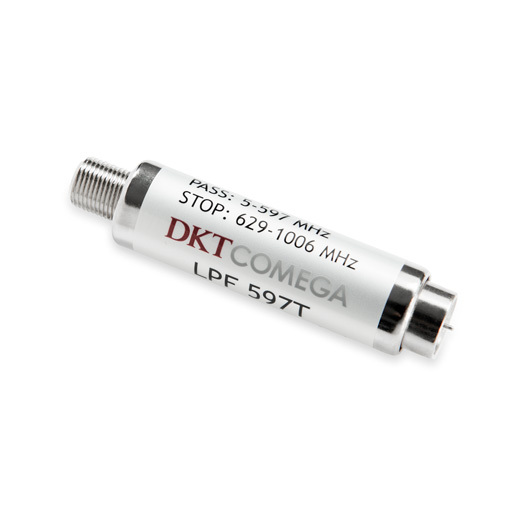 This model has the frequency split for data (5-65 MHz / 87.5-1300 MHz) and for TV (87.5-1006 MHz).